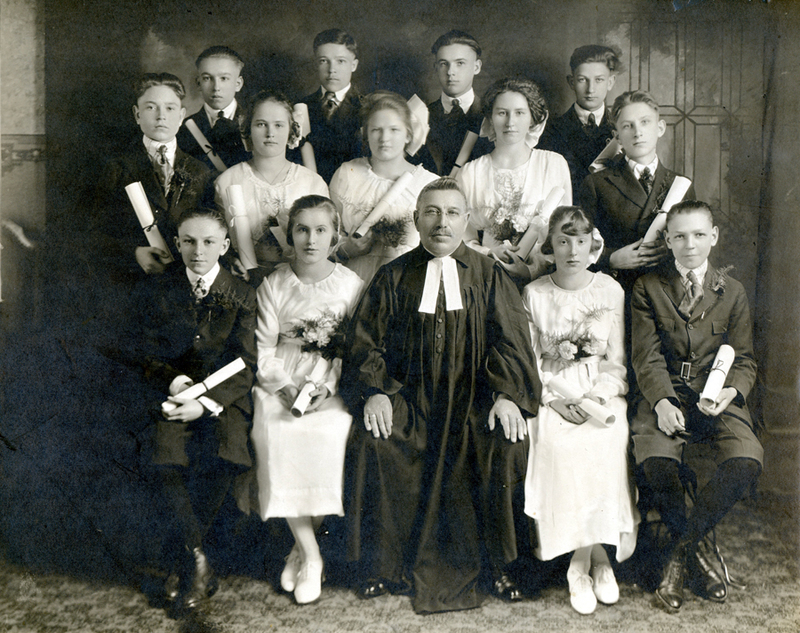 The St. Pauls Evangelical and Reformed Church Confirmation Class of 1914 (unconfirmed). Front row from left to right: Peter Roth, ?, Rev. Jacob Hergert, ?, ?. Middle row from left to right: ?, ?, ?, ?, ?, ?. Back row from left to right: Peter Schott, ?, ?, ?. Photograph courtesy of Virginia Millar (née Schott) who identified Peter Schott and Jacob Roth.